Lack of market information, payment difficulties and high shipping fees are cited as the main barriers. Less than six months after Vietnam and the Eurasian Economic Union signed a free trade agreement, Vietnamese experts claim to face several barriers that come in the way of trade with Russia. 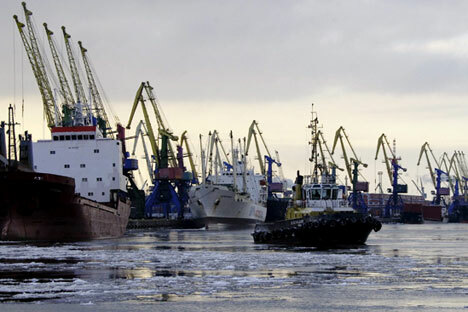 A group of experts told Vietnam News that lack of market information, payment difficulties and high shipping fees are causing Vietnamese exporters to lose out on opportunities in Russia. Nguyen Thanh Son, Vietnam’s Ambassador to Russia, told Sai Gon Giai Phong that lack of market information was the biggest challenge, according to the report. Vietnam News cited Bui Thi Thanh An, deputy director of the Viet Nam Trade Promotion Agency, as saying that most companies did not know about customs and cargo shipping procedures. Other experts told the paper that Vietnamese businessmen were apprehensive about the fact that their Russian clients preferred to pay cash instead of using a Letter of Credit payment method. Transportation costs also affect Russia-Vietnam trade, according to Vietnamese businessmen. A 20-foot textile and garment container exported to the U.S. or Europe costs $1,000-$2,000, while it is $3,000-3,400 to Russia, the paper said. A source close to Vietnam’s Foreign Ministry told RBTH that these matters were taken up in formal talks between Russian and Vietnamese officials in St Petersburg at the end of September. “The Russian side promised to look into this, and assured us that they were eager to diversify their imports and increase imports from Vietnam,” the source said. Bilateral trade between Russia and Vietnam in the first six months of 2015 touched $1.5 billion. The countries have set a bilateral trade target of $10 billion by 2020.